February 22, 2017  The private spaceflight company launched its Falcon 9 rocket on Sunday, only to have the rocket's cargo capsule encounter an error in its navigation system on Wednesday during a docking attempt. 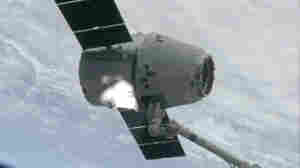 March 3, 2013  Mechanical difficulties after Friday's launch pushed back the capture of the unmanned capsule by a day. The Dragon will stay in place until the end of March, after dropping off 1,200 pounds of supplies, and return with more than twice that amount. 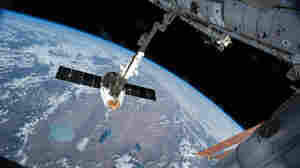 May 31, 2012  The first commercial flight to the International Space Station is wrapping up today.